SAMA (Saudi Arabian Monetary Authority) has ordered insurance companies to append a insurance policy covering damaged vehicles affected by natural disasters like flood, rain, hailstone or flash flood. Saudi Arabian Monetary Authority made it mandatory to all vehicle insurance companies to cover natural disaster policy, whether it is individual or a company. SAMA warned insurance companies, they will face legal action for not following or obeying its circular. 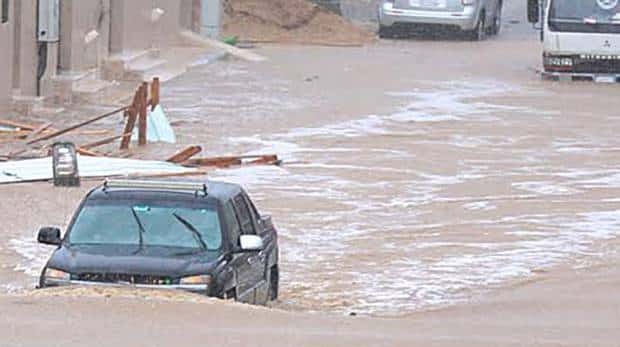 - According to insurance experts, The damages caused to vehicles in the last week Jeddah floods is around 200 million Saudi Riyals and the Insurance companies should pay a compensation is expected in betweeen 150 to 200 Saudi Million Riyals. - The director general of insurance control department Hesham Tashkandi issued a circular in which he asked all insurance companies to modify their products in order to comply with the insurance coverage of natural disasters. - Insurance companies Violating this circular will face legal action starting from January 2018. SAMA is ensuring the claimants have adequate information on insurance products and the appropriate coverage of their needs.